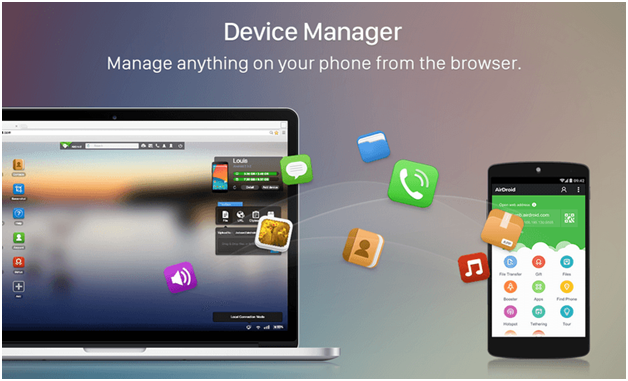 There are certain apps which every android user must have. Its not the the phone wouldn’t work without these apps but these apps help the user in some or the way. In this article I would suggest 30 best Android apps which are must have according to me. I have prioritized the apps in descending order where the best ones come first and it gradually goes on. Right hit on the first of all best Android apps, Google Maps is now here. Travelling in your own car to an unknown place that too in India is always a problem. The only solution to it is the Google maps. Today we can’t even imagine traveling without their help and its now no more a time when you ask people at every chowk about the directions. So never forget to take their help whenever you are travelling. Want to go out for shopping but the scorching heat of summers do not allow you to go. Then visit Amazon while sitting at your home. The app is considered as the largest platform for online shopping. From clothes to housing accessories you can get almost anything there. The app also has the latest trends so you don’t have to think too much before buying. And in case you don’t like the product you can return it easily and can get your money back. So the app is really easy and convenient to use for online shopping. The best and most essential app that one must have in its phone is WhatsApp. The app has made it possible for thousands of people to have a cheap communication throughout different countries. 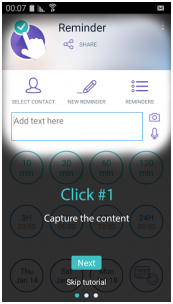 You can send a large number of messages with no limit to your family and friends. The app gain more popularity when it started its video call services. In spite this it also offers you a huge list of emojis to properly communicate your emotions. The app is really safe to use. If you are a social person then Instagram is best for you and nowadays it’s very popular among youngsters too. If you have a photogenic face or some really cool pictures then this is the right platform for you to showcase your beauty and talent. It’s too a social media app which allows you to upload your photos, make some cool and funny boomerangs and even chat with your friends. Make sure that you have fun and enjoy yourself, but do not use it too much because it is really addictive! The app is the best to watch online videos. Besides being a source of entertainment it provides you knowledge too. You can see videos of any possible content you can dream of. You can watch hilarious skits, dance tutorials, or even cooking videos. The app is really useful in sharing data when it comes to large or more number of files. It allows you to share larger files in no time also another advantage is that the app doesn’t require internet for its working. 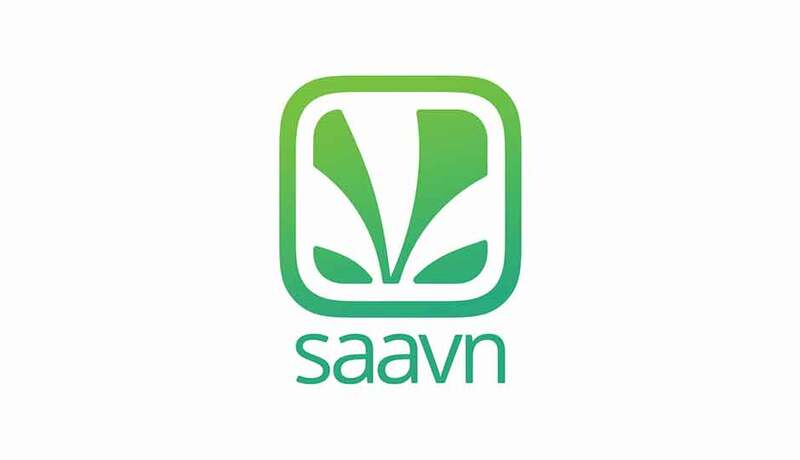 So if you are a music lover then you must have Savan in your phone. The app is really easy to use. All you have to do is write the name of the song you want to enjoy. It will provide you songs in many languages like Hindi, English, Punjabi and what not. Another important feature of the app is that there is no buffering when the songs are playing, also it will automatically provide you the latest playlist. 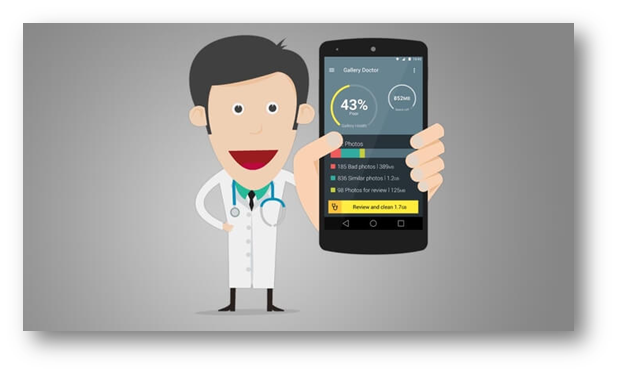 The 3 in 1 app allows you to write, make presentation and spreadsheets. The app is really good and easy to work on. So now you do not need 3 different apps in your phone as WPS office has the capability to do all the 3 functions at just one single platform. Twitter is another kind of a social media app where registered users can write tweets but the unregistered once can only read them. Its main purpose is to connect people throughout the world and allow them to exchange their ideas. Netflix is another American based app which has really good online series and movies too. So once to have paid for it you can now enjoy watching unlimited serials and films. I think this is the best thing to do during summers by enjoying yourself sitting at your home instead of getting bored. 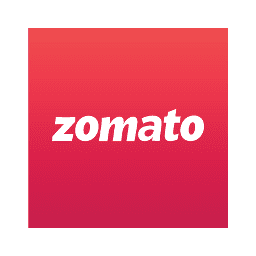 Zomato is an online app which allows you to order food online. It’s basically a food delivery app. Sometimes we feel so tired to go outside to have lunch or dinner so at those situations zomato will help you out. As now you can order food easily from your favorite restaurants and enjoy the tasty meal sitting at home. 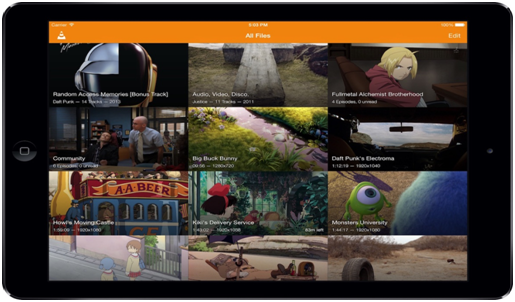 VLC media player is famous among the windows users but isn’t familiar to the android users. VLC is a very old media player which has gained a lot of users and is really better compared to other media players in windows. It has launched the android app where you don’t have to worry about the video format and anything else. Just throw the video and VLC will play it. What are you waiting for? Go watch videos without any discomfort now. As the name suggests it is a cleaning app. We download so many files from internet or even transfer files, so during this process a lot of junk files and viruses enter our phones and can harm it, here comes the use of the app. You can clean your phone with it. Besides cleaning it also helps you to lock your certain apps or hide photos, which you do not want others to see. Also read: How Secure Is Android & YOU ? Tired and scared of getting phone calls from unknown numbers? Then truecaller is the best app for you. Now whenever you see a phone call from a unknown number don’t panic or think too much as the app will show you the name of the person who is calling and the place where he is calling from. Also the app automatically cuts the calls which are spam. So now you won’t get any random company calls and can also be safe at the same time. Found an article or a video to read or watch later but don’t know how to save it? Well pocket would do that for you. Save any article or video and visit it later even if you don’t have an internet connection. It saves it while you are online and shows the content when you revisit even without internet. Bookmarking your favorite sites sometimes leads to a big bookmark list and it may also get deleted while clearing history or by any incident. Bookmarking for me is always a bad idea as I always loose my content. Feedly is what brings all of your favorite websites in place where you can always be updated with news, your favorite website and you can share it at any point of time. Why buy fitbits when you can track your health on your mobile itself? 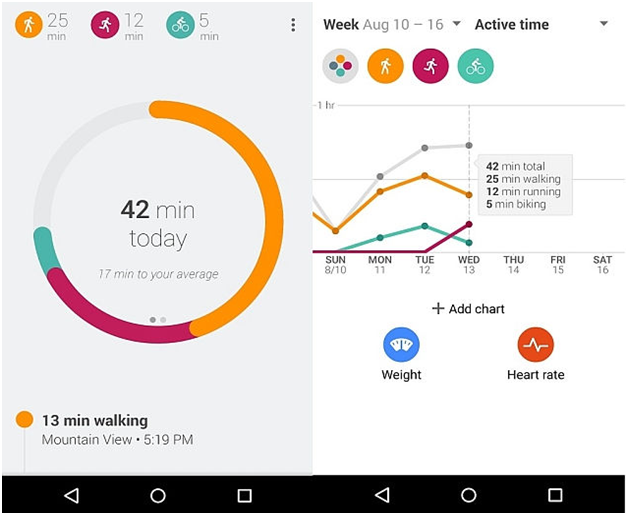 Googlefit is the app which would do that for you. It is available on Playstore and is also preinstalled in few devices. You can now track your steps, calories and all the other health aspects on your mobile device itself. Travelling is fun but renting hotels is the trickiest part. Being charged extra money or being cheated at hotels is the worst part of travelling. Apart from all this the bargaining section is the toughest as you have fit that price in the budget that you planned. You would want to get rid of this right before starting the trip. Installing Airbnb would do that all for you and book hotel for you at cheapest price. You don’t have to be worried about being cheated when booking through Airbnb. Avoid all the middlemen and book thorugh airbnb on your next trip which would help you get best hotels at low prices. Unacadamy is an online learning app which allows the educators to create videos on various topics for the aspiring students. The app has made learning easier. So if you want to recapitulate any topic or you were absent during any class, you can now make sure that you do not miss anything. The app is really good for students as it really helps them a lot. So all students must have this app with them. Ola provides different kinds of cab services ranging from luxury to economic. So you can book a cab with help of the Ola app and can pay in both ways either in cash or with Ola money. You can also choose that whether you want to go alone or want to pool the cab with someone. The app is really easy to use and is helpful too. And I think that most of you people had already used it but in case you haven’t make sure that you give it a try once. Moved to a new place and don’t know the native language? Planning to learn it but don’t have enough time or money? Duolingo app would help you with that. 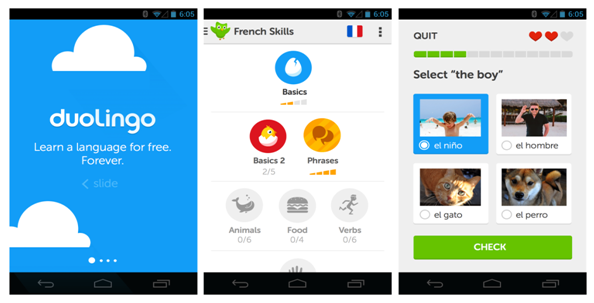 Learn any language at any time from your mobile phone itself with duolingo. Learn new language whenever you get free time. It not only saves money but it also saves time and efforts. The UI is simple and is easily understandable. Download it and learn a new language every month. Most of the devices come with the basic reminders which work only when they wish to. You miss few of your important meetings at times because of this but you will never miss anything important after installing Click Me Reminder In A Click as it never skips any reminder and shows every reminder in the mentioned time. The UI is easy to set and looks cool at the same time unlike the stock reminders which we get in our phone. Ever felt your phone so uncomfortable while using some apps. It becomes really tough when you have to write a lot or want a big screen to work on but don’t have a tablet but with this app installed you can use your phone on your desktop and control things from your laptop or pc. This becomes really handy when you have a big project which can be done on android only and you don’t have a tablet. MUST READ: How To Hack Android Phone Using Another Android Phone With Airdroid? All we all know cameras are barely used by anybody as all the features which were previously available only in expensive cameras are now available in the entry level smart phones as well and with that clicking photos has become the trend. Each and every moment is captured by people. With so many photos captured and saved in the device the storage of the phone backsteps which is the major problem faced by almost every android user. Short-listing photos the not so good picture becomes a major task for the users anf manually deleting them is a tiring and time consuming process. Gallery Doctor makes this process easier by making it fully automated. It hunts down duplicate images and highlights them for deletion. This app is like a live boat to all the ones who click so many pictures. Your data is being eaten up and don’t know what to do? Well, what if I tell you that many browsers out there eat your data up in many different ways. Now that you are aware of the problem, its my job to suggest a answer as well. 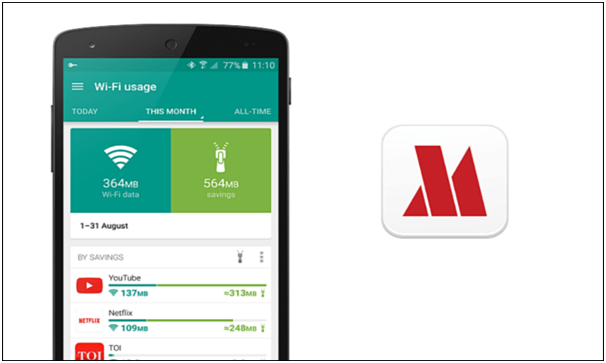 Opera Max is your solution as it consumes less data,breaks down files into small size while downloading and saves your data in many different ways. Fed up of visiting multiple social networking sites and replying to individual conversations by visiting each app individually. 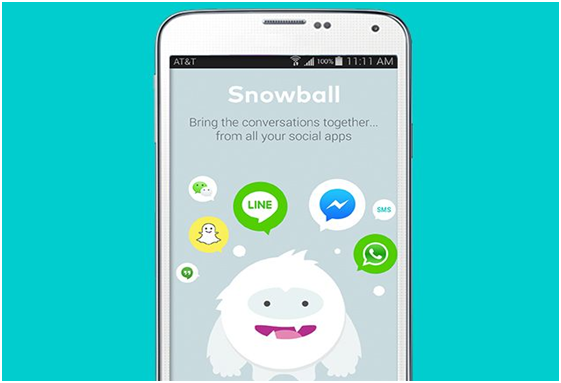 Well, snowball will make your lives easier as it manages all your notifications and messages in one app. The notifications can be visited later depending on how you prioritize them. Going old school is always cool and while some are busy with online messengers, some prefer that old school offline texting. The stock sms app that we get with our device is basic. 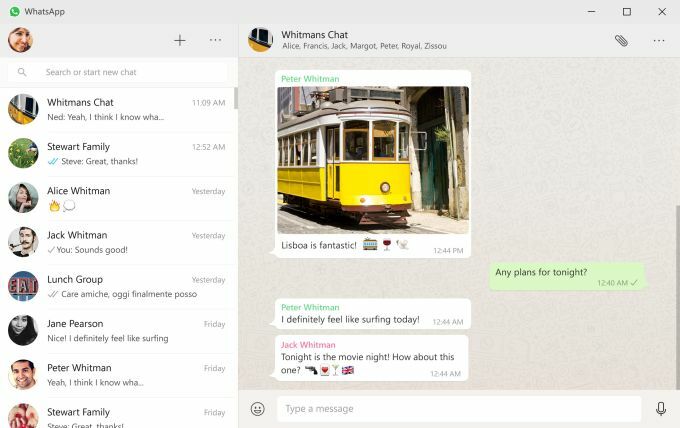 What if your old school texting would get a little mixture of the new messengers? 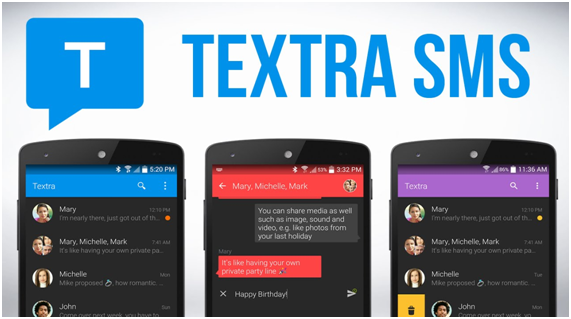 That’s what textra is all about. You can customize colour, texture, notification icon and basically everything. So what are you waiting for? Go and grab it right away. 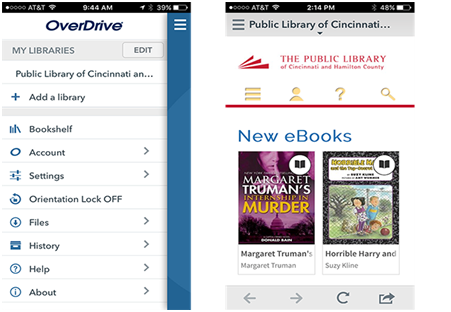 Want to borrow a book to read but got no libraries around your place? Slowly but steadily the digital libraries are coming up but most of the people are not aware of it. You wont have to worry about anything right from borrowing the book to returning it on time and late fees as the app automatically returns it. If you are a selfie queen make sure that you have this app in your phone. The app is really easy to use. It has so many filters and also enhances the beauty of your face. It is really fun working with this app and it also ensures that your selfie comes out in the best form. If you are a book worm and tired of searching the books you want in market then make sure that you download Amazon kindle in your phone. The app has a really cool collection of books that too free of cost and even if it doesn’t show the book you want, you can buy it online and can read it easily. It provides you with books in 6 different languages. So now you can enjoy reading anytime anywhere. Another cool app for editing your pictures. Sometimes when we click a picture we find that the background is really dull or sometimes too bright, but then you don’t need to worry as the app will solve this problem for you. Now you can easily edit the pictures in your own way and the app which has the ability to transform all your dull pictures into the catchy once. Planning a trip but tired of searching hotels at various sites. As you will get the same hotel at different prices. But trivago does the work for you as it instantly compares the prices of a particular hotel from various sites so that you can find your ideal hotel at best price. It always feels good to go back in time and take look at the memories that you collect. But what if one fine day you loose all of your memories? It would be as bad as drinking tea and coffee together. Well you don’t have to do that as Timehop saves all your memories and it also gives you reminders which would get a little smile on your face for sure. 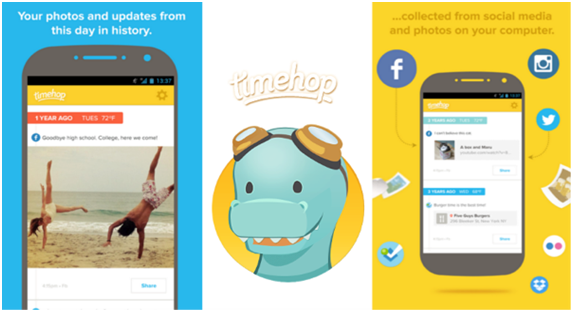 Going to feed on social networks would become boring once you get this app as going through memories is addictive. Don’t have enough money to hire a personal trainer? Why don’t you let your mobile guide you at gym? sounds weird? Well, you have heard me right. 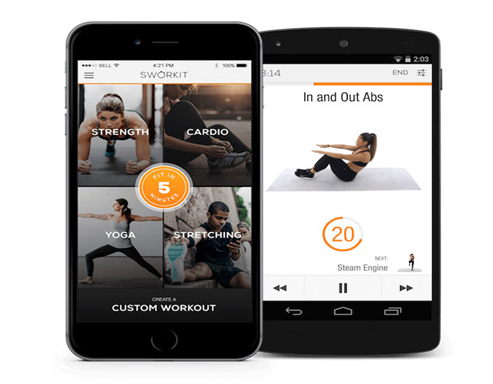 Sworkit will be your personal trainer. This app tells you have to do and keeps track of the past workout. The workout plans are designed by professional trainers so you don have to worry about nothing. Who knew gymming could become this easy and cost effective. While most of the mobile brands are providing inbuilt app which helps our phone battery from draining ,they are not totally satisfying the consumers most of them only show the information of apps downloaded and not the apps which are pre-downloaded. 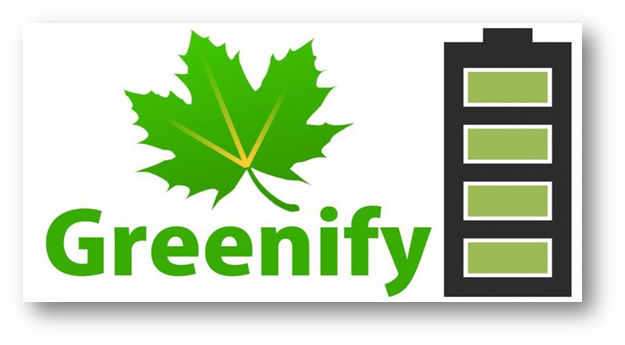 Greenify works in background regulating how much battery each and every app is consuming and freezes the app on your command. This app helps the consumer get maximum out of the phone’s battery. Free Bonus 36th Recommended App ! 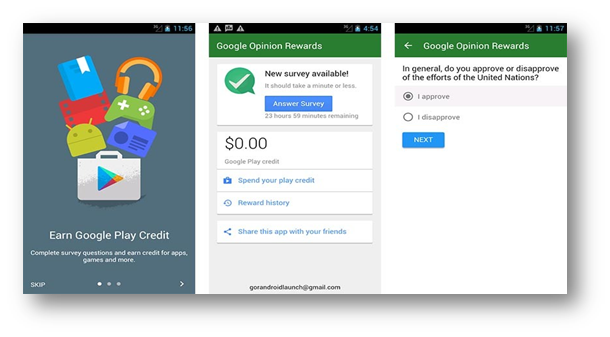 Google opinion rewards actually pays the user as they complete short surveys given by the app. Some of the best apps on the play store have a price and with Google Opinions Rewards installed on your device you can earn actual money which can later be used on play store to buy such apps. The reward given might disappoint you at first but if you see to it the surveys are short and easy and they take no longer than a minute or two to be completed. Your reward per survey might be less but it all adds up. Get paid for sharing your opinion and in the end of the day, you are working with Google which is a big achievement already.